The Knights of Columbus is a Catholic Fraternal and Service organization for men. The Order, founded by Blessed Michael McGivney in 1882, is dedicated to the principles of Charity, Unity and Fraternity. 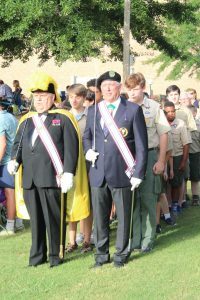 Council #15131 was chartered at St. Richard in 2010 and have been active in many areas including the 4th of July Parish picnic, the annual Msgr. 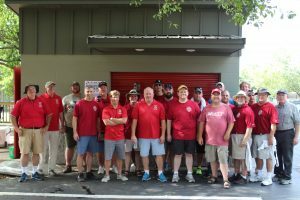 Glynn Memorial Brunch to support vocations, Lenten Fish Fries, the Father’s Day Walk for Life, support for other Pro-Life activities, Special Olympics and much more. Council 15131 of the Knights of Columbus is always looking for additional Catholic gentlemen who wish to use their time and talents to further the work of the Knights in St. Richard Parish and in our community. Grand Knight Robert Monroe email rmunroe2@comcast.net.